Before the International Jazz Day of 2018, there were already concerts and events all over the world leading up to the big show in St. Petersburg, having a week of jazz focused activities with a bit more than the usual mainstream media attention. When celebrating the International Jazz Day we should not forget what we as well celebrate: freedom of expression, global respect and understanding and individual as well as group communication, as all this is an integral part of the music we call Jazz. 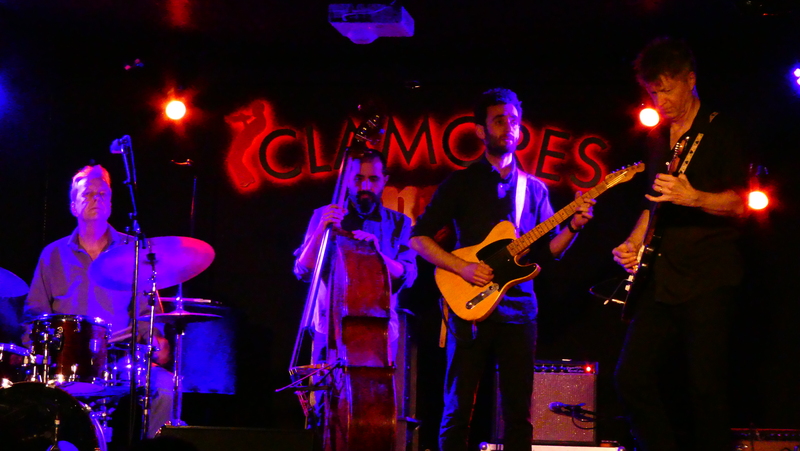 I went to see the Pablo Martin Caminero Trio at club Clamores in Madrid, featuring the wonderful pianist Moises P. Sanchez and Michael Olivera on drums. The Trio did perform music from Pablo’s recent albums ‘Salto al Vacio’ and ‘OFNI’ and was a slightly jazzier affair than his bigger ensemble is, but without neglecting the flamenco touches which are part of his compositions and musical heritage. Sanchez is one of the leading Spanish pianists of the younger generation and performed some captivating and excellent soli, with Olivera keeping time immaculately. 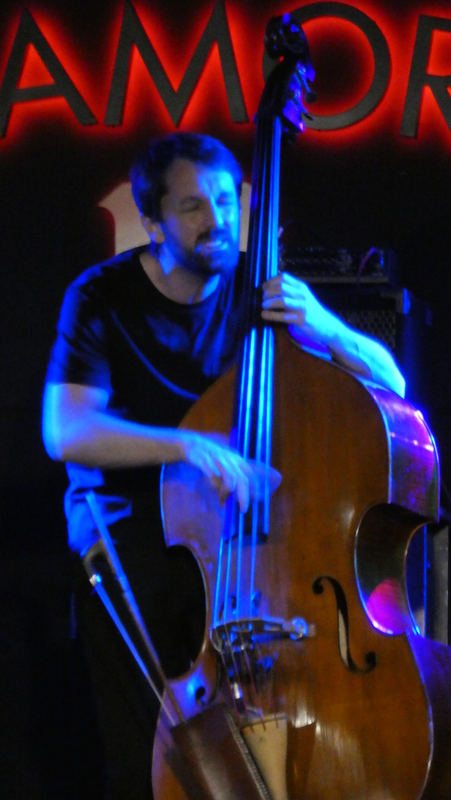 Pablo is one artist I love to hear, with his full sound and amazing improvisations – one that never disappoints! I hope he will record this trio at one point, as it is worth it and should be heard by more people than the approx. 120 in the club. The Nels Cline 4 just released an album on Blue Note entitled ‘currents, constellations’ which features beside Cline the incredible guitar player Julian Lage and Scott Colley on bass and Tom Rainey on drums – the quartet, with Jorge Roeder on bass instead of Colley, came to Madrid’s Clamores for two shows, in support of the album release. I was lucky enough a few years back to see Nels and Julian as a duo at Winter Jazz in New York and therefore did look forward to the quartet show and wasn’t disappointed at all – the interplay and communication between the two guitar players is second to none, ideas flowing freely to be picked up and transformed, answers given to questions that hadn’t been asked, smiles all around and a stunned and excited audience. The music ranges from Robert Johnson to Metallica if I may mention two extremes of influences … blues informed jazz segments are followed by rock riffs any heavy band would be proud of, then moving on to a free sequence just to break into a swing phrase right after … and Rainey and Roeder at the heart of things, making these musical excursions of Cline and Lage safe. Extraordinary!!!! Go and see these guys in concert and if they don’t come your way, just get the record!! 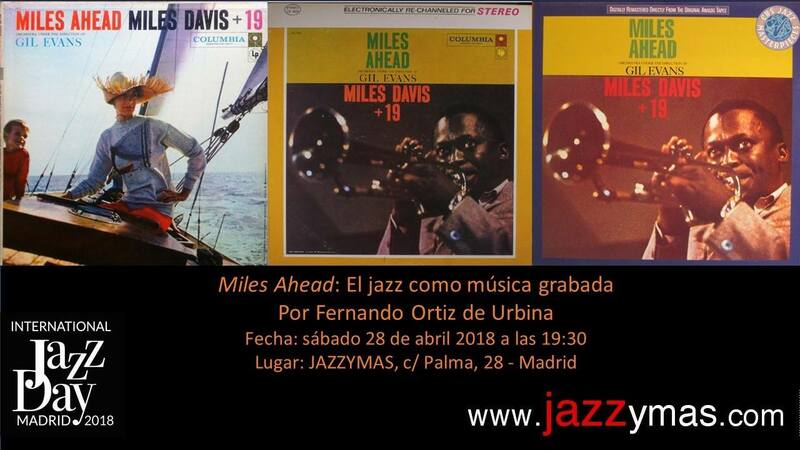 My friend and jazz critic / researcher Fernando Ortiz de Urbina gave in Madrid’s jazz record shop Jazz y Mas a very interesting lecture on the Miles Davis album ‘Miles Ahead’, with details on Miles, arranger Gil Evans and producer George Avakian, which overall told the story of a complicated, but extremely successful album production. Even a Miles Davis fan like me could learn a few new and interesting facts here. Thanks Fernando.